Frederik July 12, 2011 Comment? USA Today has an interesting article on the Sherlock Holmes sequel, accompanied by a brand-new picture featuring Noomi Rapace, Robert Downey, jr., and Jude Law. 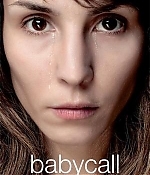 Also, with the October release of “Babycall”, two Swedish posters have been released. The pictures can be found in the gallery.